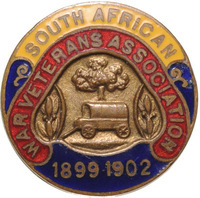 These Veterans of the Anglo Boer war belonged to the Military Veteran Association named the "Oudstrydersbond" or "League of Veterans"
Tobias Gerhardus Mahne 1879 POW in India, Trichinopoly Camp. Under the "More Actions" link choose "Add to Project"
How to add a link is explained in the attached document - Adding links to Geni profiles to projects. Include a photograph/painting of your ancestor if one exists. Your ancestor's profiles should be marked as "public" and not "private". All included profiles should include full identifying information including birth and death dates as well as birth and death locations. It would also be very helpful if the immediate family of your pioneer ancestor, (their parents, siblings and children) profiles were public profiles also. Do not make public any profiles of living people. NOTE: All ABW Leaugue of Veterans included on this project will have their profiles editable by other geni.com collaborators of this project. The object of reproducing the list here is to see if these people can be located on Geni and perhaps develop trees from them. To take part in any project - you do need to first be a collaborator - so join the project. See the discussion Project Help: How to add Text to a Project - Starter Kit to get you going!